Inside: These easy glow-in-the-dark kid art jars are great for holiday gifting! A creative kid activity that's perfect for the classroom, homeschool or multi-age kid setting. Lining up at the door in matching red boots, they wait with a bucket in each hand. Can we have water, please? Their expectant faces watch me internally debate the pros and cons of busy play outside with our recent cooler temperatures. It's not that cold, I decide (and the half-unloaded dishwasher could use a few more minutes). So each bucket receives a little cold water and they run off into the dry leaves to finish their project. They're great gatherers of containers these day. Amazon cardboard boxes for tables. Empty ice cream containers for leaf bins. And buckets for everything else: rocks, wood pieces, snail shells- and water. A container is a wonderful thing- especially when it has a present in it! 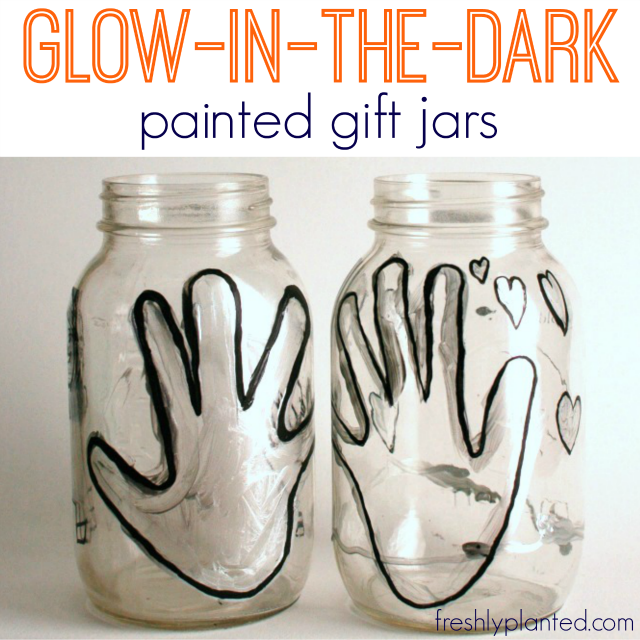 While planning these jars, our kids wanted to try glow-in-dark paint. Their reasoning: It's getting dark so much earlier! They were also inspired by Creepy Pair of Underwear!, a recent favorite. It's a clever book with a central message about overcoming fear and embracing what once seemed scary. A great lesson for kids- and a handy reminder for adults, too! Multi-surface paint (We used black & silver). 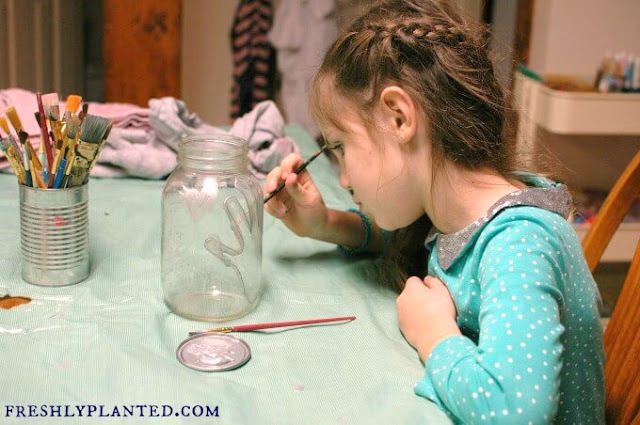 Carefully wash & dry jars. Rubbing alcohol can be used to prep surface and remove any residue so paint sticks better. Have adult wipe on with clean cloth or cotton ball. 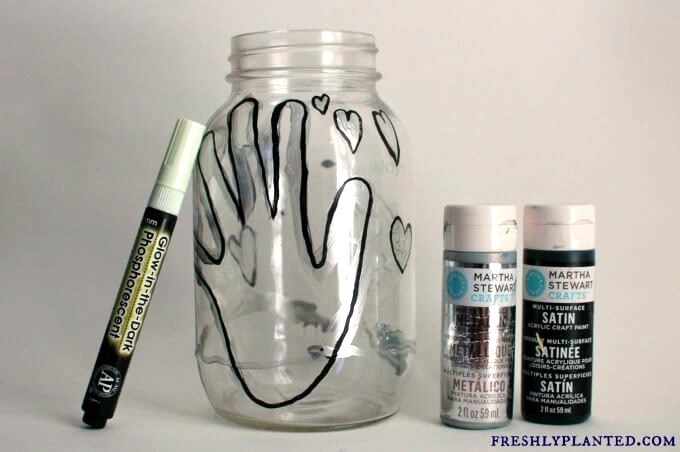 Draw pictures on jar surface with Sharpies and let dry. 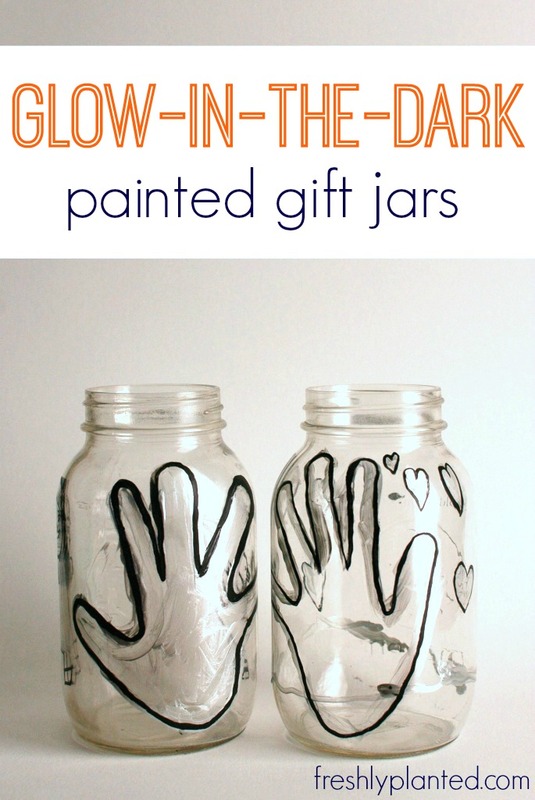 These can be hand tracings, leaf tracings, book-inspired drawings, or anything else. Erase any mistakes with dampened paper towel. 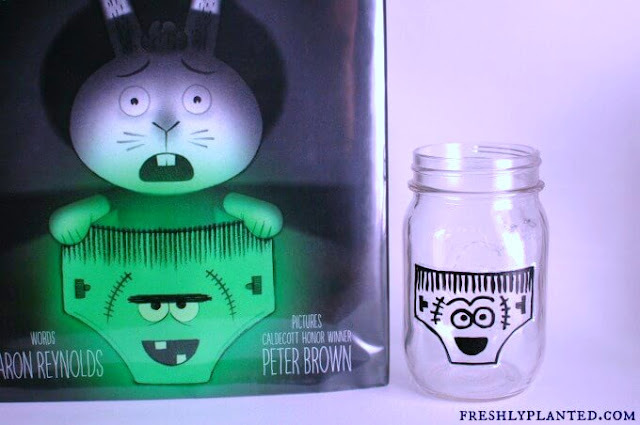 Outline or fill in drawings with glow-in-the-dark paint. Dry according to package instructions. For extra protection, apply waterproof sealant over it. 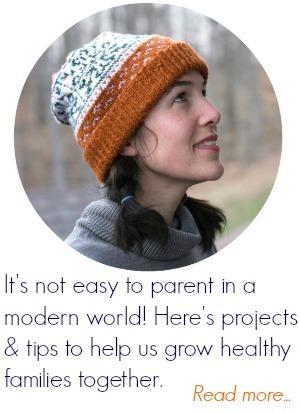 This post is a part of the annual kid-made ornaments and gift ideas inspired by children’s books. 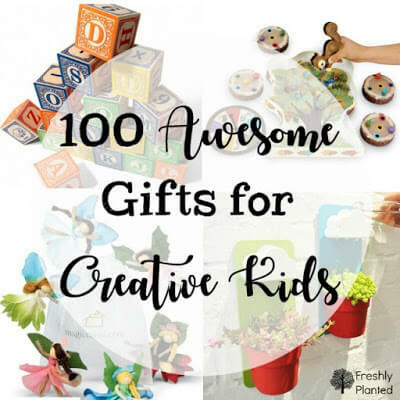 A few other gifts inspired by children’s books can be found below. 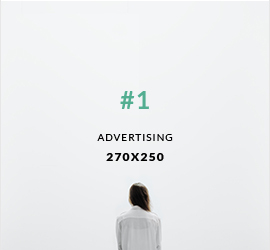 Pop over to check out all of the other amazing creations HERE!